This neighborhood was settled in 1680 as part of the original Grande Modell of Charles Towne. It is famous for its art galleries, restaurants, well as Charleston's Waterfront Park. 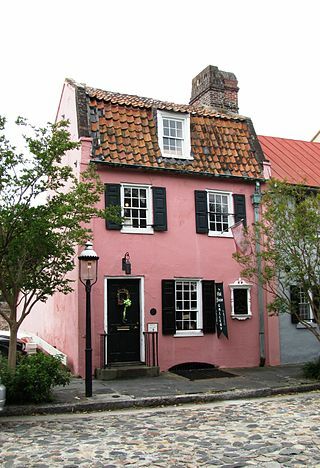 Charleston's French Quarter is home to many fine historic buildings, among them, the Pink House Tavern, built around 1712. Also in the French Quarter are the Dock Street Theatre, arguably the first site of theatrical productions in the United States, and the French Huguenot Church, a beautiful Gothic Revival church which houses the sole-surviving French Calvinist Congregation in the United States. St. Philip's Episcopal Church, the first congregation in Charleston, whose current building dates to 1835, is also in the French Quarter. The youngest signer of the Declaration of Independence, Edward Ruthledge is laid to rest at St. Philip's graveyard. Along with U.S. Senator and Vice President John C. Calhoun.